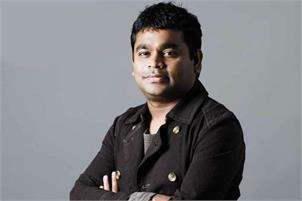 New Delhi, May 7 (PTI) Music maestro A R Rahman, who has made his directorial debut with a multisensory virtual reality film, doesn't believe that a grand war epic like "Baahubali" lends itself to the medium. Rahman's film "Le Musk", starring actors Nora Arnezeder, Guy Burnet, Munirih Grace and Mariam Zohrabyan, revolves around the sense of smell. "Grandeur is too overwhelming in VR. You feel tired after sometime. For example, a war scene (like in 'Baahubali'), you could feel the pressure. In 3D, the pressure is felt farther," Rahman told PTI in an interview here. The Oscar-winning musician says it would be too expensive for him to replicate what S S Rajamouli has delivered. "I don't want to make a film as grand as 'Baahubali' because we have other grander directors who can make such films. Plus, I don't have Rs 200 crore." The musician says he wanted to create a beautiful world of visuals that don't affect the viewers negatively. "I want to create the music, the beauty, the visuals. I want to create a world for people, so that they would never want to come out of it. I have even tried to portray the negative aspects of the story poetically, so that it doesn't bother you spiritually," he says. "Le Musk" is his maiden project as a filmmaker and Rahman says he was ecstatic when PVR gave a positive response about making a film in VR. "When I had this idea of making the film, we met people at PVR. We presented the idea and asked them to have a look at it as VR is the future." Rahman says he does not take negative reviews to his heart as music is all about instincts. "After a while you don't care (bad reviews). You feel an instinct that (good) music will happen. If it doesn't, you just go back. I believe that because I'm a spiritual person, there's a force that is helping me. I have good intentions. The people working with me have great ideas and that is the best we can do," Rahman says. With "Le Musk", PVR is collaborating with YM Movies to bring the world's first VR multisensory episodic feature film.